What’s your favorite treat? Is it the gooey chocolate cake? Or the creamy towering sundae? Perhaps, you’re not into the sweet variety. Maybe you prefer the juicy cheeseburger with supersize side of crispy fries. Is this too western for your taste? Okay, so paella it is. I’ve just listed down my own favorite treats. Those are everybody’s really. What’s not to love about them. A treat is often a well-deserved reward. Delicious as it is, it can sate the craving. Make you smile even. But it can also be very unhealthy for the body. What you need to do is to learn how to detoxify your body. It’s best to go the natural way. Whether it’s a sweet dessert or a carb loaded meal, it has copious amounts of sugar. Something that is excessive for the body’s requirement. Sugar is converted to energy. Any excess sugar is stored in the body and becomes the dreaded fat. What’s even more alarming is the proven finding that sugar is what feeds cancer cells. This makes excess sugar a toxin you need to rid of. CHARANTIA® is made from 100% all natural Momordica charantia Linn or what is locally known as Ampalaya. It’s dried and roasted to bring out its aroma and delicious taste. Scientific studies have proven that it is effective in lowering blood sugar. 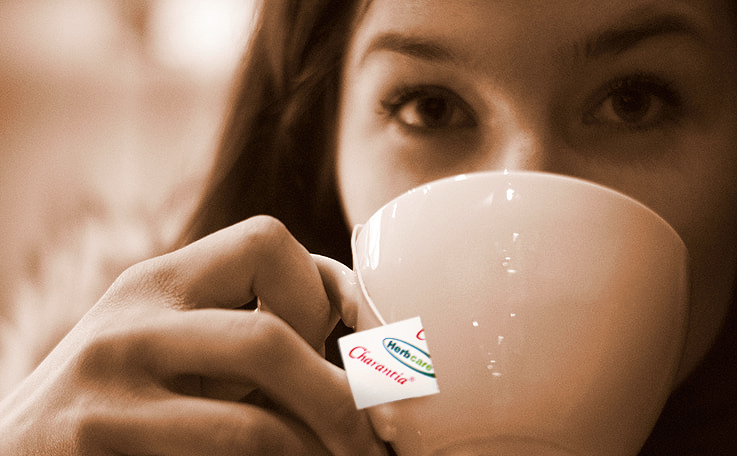 Start your daily CHARANTIA® habit. It’s nature’s way of helping you stay healthy while happily enjoying a little treat along the way.